MATT VEASEY: What Will Ruben Amaro Do Next? There are two main things that we know for sure about the Phillies. First, they have publicly stated that they want to shed high-salaried and aging veterans, move on from the 2000’s core, and rebuild. 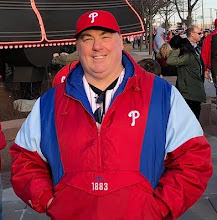 Secondly, the Philadelphia Phillies have to fill a roster and field a team in the 2015 season, even if we know in advance that the this team is not likely to be a contender for even a Wildcard playoff spot. So with those two things in mind, let’s examine what is on the agenda for Ruben Amaro over the next 2-3 months, before and then into the opening of spring training in Clearwater in February. continued entertainment of offers for ace pitcher Cole Hamels. There are logical targets for each of these players. The Phillies want a strong prospects package back for Hamels, for instance, while Hamels wants to play for a contender, preferably in the west or midwest. The Hamels speculation will continue to center on teams with enough prospects and incentive to make such a deal. The Boston Red Sox, Chicago Cubs, San Diego Padres, Los Angeles Dodgers, Saint Louis Cardinals, and Los Angeles Angels are the most likely matches. Howard is most likely going to be peddled off to an American League club. Some team that could use him as primarily a DH, with some usage at 1st base, especially during Inter-League games. The Tampa Bay Rays, Toronto Blue Jays, Baltimore Orioles, Seattle Mariners, and Oakland A’s might be matches. The Phillies will have to eat money in a Howard trade, for sure. If the Marlins really want to contend, wouldn’t Jonathan Papelbon make a great closing option? It would allow Steve Cishek to become a strong setup man, and deepen their entire pen. Other clubs that would appear could use a closer upgrade include the Nationals, Blue Jays, Astros, Brewers, Cubs, Mets, Rangers, Rays, and maybe even the, gulp, Red Sox. If Byrd is dealt, do the Phillies move Domonic Brown to right field, allowing he and Darin Ruf in left field to each play every day? That would leave Grady Sizemore as the only experienced outfield depth. Do the Phillies really give Freddy Galvis the everyday job at shortstop? If both Howard and Byrd are dealt, does Ruf play 1st base? If so, who starts in the outfield? What do the Phillies do with both Cody Asche and Maikel Franco at 3rd base? Who makes up the starting rotation, especially if Hamels is dealt away? There are many potential questions for the 2015 Phillies roster, lineup, and pitching staff, most of those based on any deals that do get made involving the veterans. 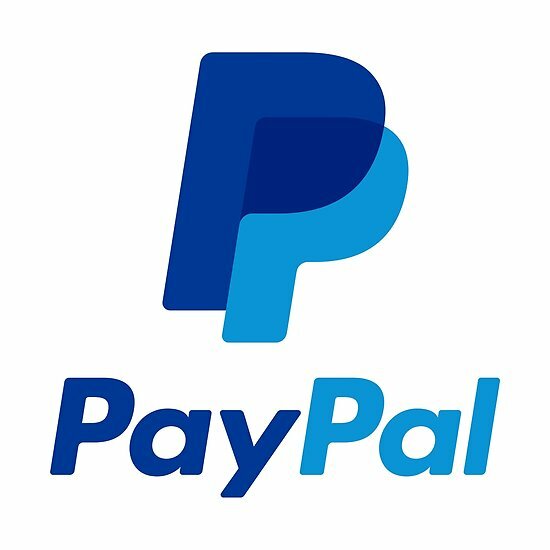 What pieces to those deals bring back? One likelihood is that the Phillies are going to get both Asche and Franco substantial at-bats in 2015 at some point, probably from the very beginning. 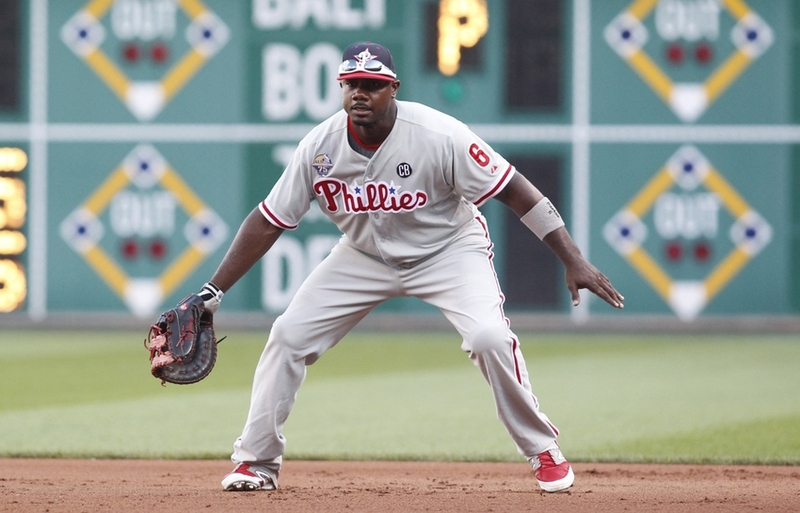 We could see Franco at 1st base and Asche at 3rd, if Howard is dealt, maybe even if he stays. We could also see Franco at 3rd, with Asche either moved to leftfield, or worked in as a super-utility player in the infield and outfield. The other thing likely to happen is full-time starting at-bats for both Ben Revere and Domonic Brown. This is the time to find out, once and for all, if either or both of these guys can be real, productive everyday MLB-caliber players. One more thing that appears to be more and more likely, at least if public comments can be believed from both the player and the organization. That would be the return of Chase Utley, who would play 2nd base as long as he remains healthy. There is a chance that Utley could move to 1st base at some point if Howard is dealt. In the rotation, if Hamels is back he is the ace. Cliff Lee returning to reasonable healthy and productivity would be a huge blessing, giving the club yet another trade chip during the 2015 season. David Buchanan and Jerome Williams are almost certainly to be in the rotation. If Hamels is dealt, Lee becomes the ace, until he is inevitably dealt as well. If both of those things happen during the 2015 season, the pitching rotation could really deteriorate into a wide-open audition for any youngster from among Miguel A. Gonzalez, Jonathan Pettibone, Adam Morgan, and 2014 draftee Aaron Nola among others. As far as free agents, the Phillies have been linked to longshot, inexpensive types such as shortstop Rafael Furcal. They could get in on any inexpensive free agent starting pitcher, such as Chris Young, Joe Saunders, Brad Penny, Johan Santana, and Aaron Harang. Anyone who wants a chance and is willing to take a cheap deal in return. For sure, the 2015 and 2016 Philadelphia Phillies will likely be a far cry from a decade earlier, when they were building towards contending on a regular basis. This will be about gathering as many talented kids and giving as many of them a chance to prove they belong in the longterm plans as possible, while supplementing the roster with such cheap veteran options. Phillies fans need to enjoy the ballpark, and the simple beauty of the game itself. It is likely to be at least 3 more seasons before we start to see the team even begin to contend again. Hopefully by the 2017 season, 4-5 youngsters will have emerged as legitimate future pieces, and the team will again begin to spend money on truly talented free agents.